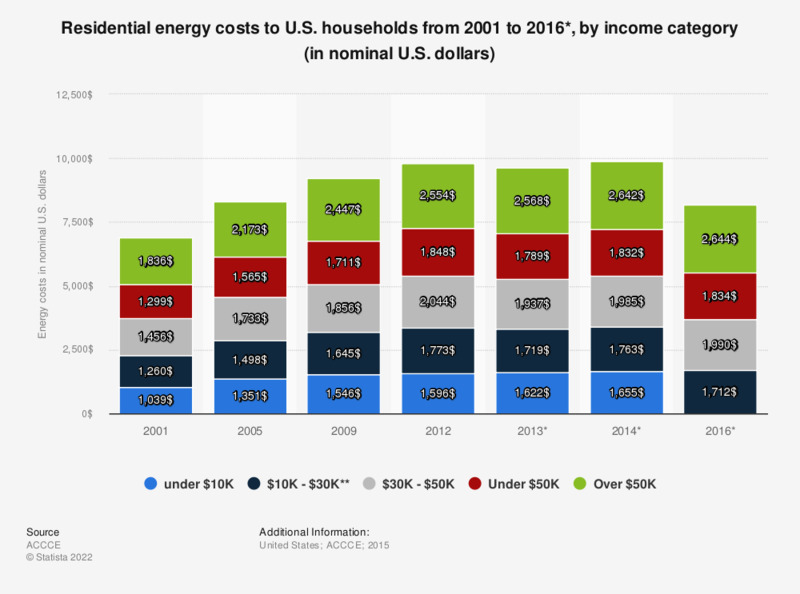 The statistic represents the cost of residential energy to households in the United States from 2001 to 2012 and the projected cost for year 2013, 2014, and 2016, by income category. It is estimated that households with an annual income of 10,000 to 30,000 U.S. dollars will have average residential energy costs of 1,763 U.S. dollars in 2014. **Values for listed 2016 $10K-$30K includes all households with incomes under $30K. Data for year 2012 can be found here. Data for year 2013 can be found here. Data for year 2014 can be found here.